Elegant, precise, controlled, the Tango got the show started at the closing dinner for the 20th InterAmerican Forum on Microenterprise (FOROMIC) in Buenos Aires (Argentina) last night. Halfway through, the curtain was drawn for several minutes before raising to reveal an explosive performance of the Cumbia in honour of Barranquilla (Colombia), the host city for FOROMIC 2018. The enthusiastic applause for the tango gave way to dancing in the aisles as thrilled Colombians shouted “Bravo” in support of the performers. The marked contrast in seeing performances of the two iconic dance styles in such quick succession kept a smile on my face right through the second half of the show. Other contrasts in Latin America and the Caribbean (LAC) are less thrilling. By many measures it is the most economically unequal region in the world. From the Rio Grande to Cape Horn the reality behind those measures is evident. Wealth and poverty are neighbours in many cities of the region and, to echo the sentiment expressed at the closing ceremony of FOROMIC 2017, “poverty is expensive”. Microfinance, the provision of small loans to individuals at the bottom of the economic pyramid, addresses one aspect of those costs, the higher cost of finance. By promoting financial inclusion across the economic spectrum, microfinance companies make it possible for microenterprises to access credit for investment and working capital at a lower cost and in a more secure way than is otherwise available through informal money lending. Deetken Impact has been supporting financial inclusion in the LAC region with loans to microfinance companies for over a decade. During this time, we have seen a remarkable growth in the industry. Indeed, since the first FOROMIC was held in 1998 the number of microfinance customers in the region has grown from 1.5 million to 20 million. 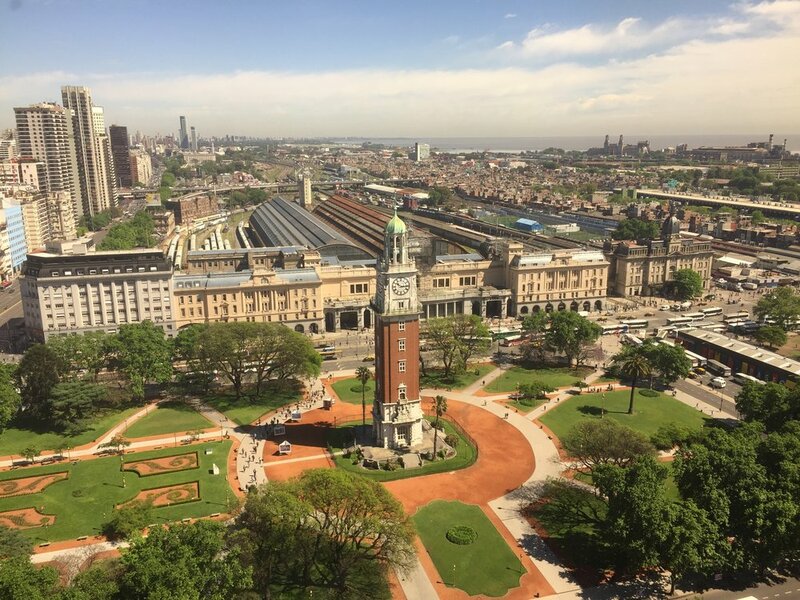 Over 1,200 people attended the event this year and we had the opportunity to meet with dozens of them over 3 days on the 24th floor of the Sheraton hotel overlooking the Plaza de San Martin in Buenos Aires. Over the course of our conversations we met with people representing organizations in Argentina, Bolivia, Colombia, Ecuador, El Salvador, Haiti, Honduras, Nicaragua, and Peru. The theme of this year’s FOROMIC was the role that the digital revolution and recent technologies are playing in financial inclusion and entrepreneurial innovation in the region. The theme was explored in the context of technological acceleration, stimulating innovation, regulation, rural production, client-centeredness, smart cities, human talent, small and medium-sized enterprises, and climate finance, among others. The conversations and panels provided further impetus for Deetken to continue to extend the offering of our Big Data and Machine Learning advisory services to our partners in the region who are offering financial, education, and health services to thousands of people. The President of Argentina, Mauricio Macri, opened FOROMIC 2017 by highlighting that in Argentina only about 50% of the population has a bank account, and that the majority of those who do have accounts, withdraw their entire paychecks on the first day it is deposited. These observations illustrate the challenge that lies ahead for all of us working to increase financial inclusion as part of the broader effort to reduce the contrast between rich and poor throughout the LAC region.